You may have already read how Bison has the special privilege of being one of 12 fleets in North America to test out Freightliner’s new 2018 Pre-Series Cascadia. If you have, you were briefly introduced to Jack Fielding, who we chose to test-drive the truck. In order to provide Freightliner with the feedback they’re looking for about this Pre-Series model, we wanted to ensure we chose a Driver who will provide timely, accurate and detailed information in regards to the performance of the truck. Jack Fielding will be driving the new 2018 Freightliner Pre-Series Cascadia and providing feedback to Freightliner. Jack has more than 18 years of driving experience, has accumulated more than 2 million consecutive accident-free miles at Bison, including miles in our LCV division, and has well over 4 million accident-free miles in his 40-year professional driving career. He has also been an In-cab Instructor, a member of Bison’s Driver Advisory Board, and has been active in Bison’s spec’ing committee. 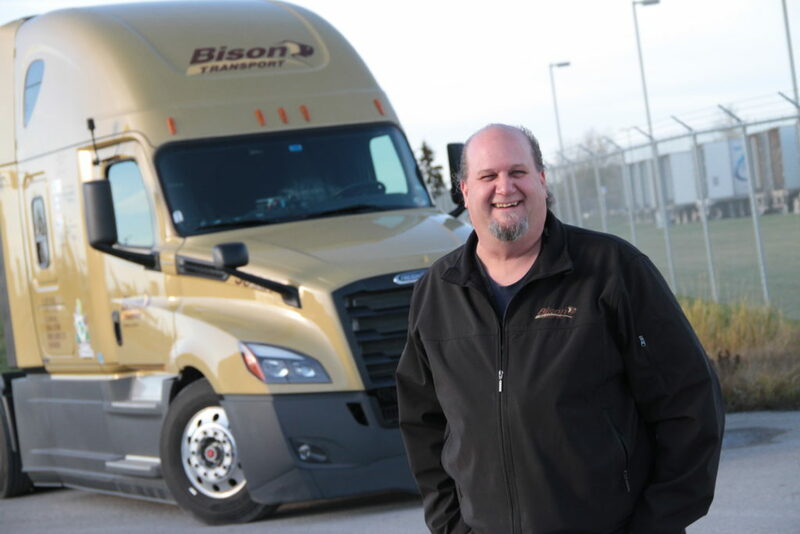 Throughout his driving career he has won several awards, including the 2013 Company Driver of the Year by the US-based Truckload Carriers Association, and the 2015 Driver of the Year by Volvo Trucks Canada and the Ontario Trucking Association. While we have many Drivers we wish we could give this opportunity to, Jack is most definitely deserving of this privilege. He’s the right guy to test out this truck, and give us, and Freightliner, a better-informed and honest view on how it runs. We can trust that Jack will always provide us with honest feedback about the truck’s equipment and operational procedures. When choosing an individual to be involved in the evaluation of the new Freightliner tractor, Jack was definitely at the top of the list. Watch for Jack on the road and give him a congratulatory wave!